The fashionable stay young forever. You have to check out Zoe Spawton’s Tumblr What Ali Wore Today. It’s such a treat to follow and will quickly put a smile on your face. 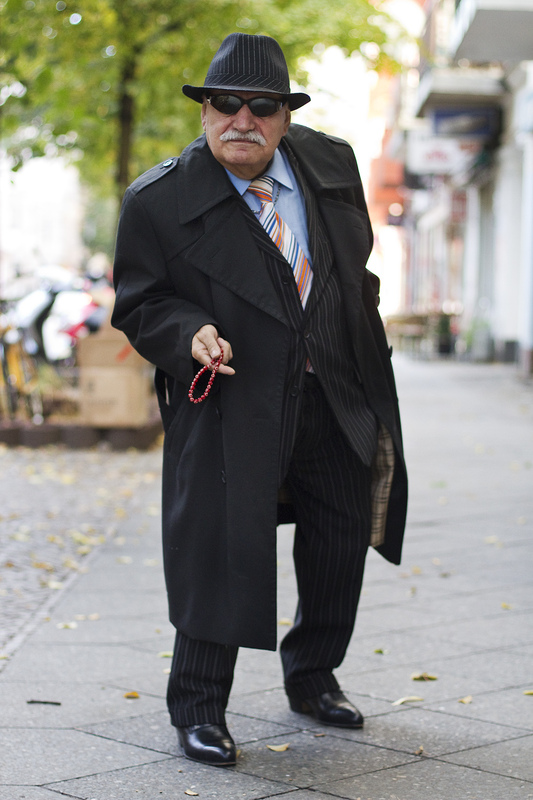 Long story short, Zoe (an Australian photographer) has been chronicling the daily outfits of trendy Berlin-based tailor Ali ever since she saw him walk past her work. And how couldn’t she? Dude’s got style: perfect attention to detail and a pose that screams confidence. Not to mention he’s 83. I love to see someone take their fashion that serious into older age. Definitely an inspiration to us all. We’re excited to team up with our friends Delta Air Lines to host Lunch With Friends. It’s a simple concept, if you’re a hard-working hustler in the social media, digital or tech industry, come have lunch on us. It’s going to be a great way to unplug and meet compadres who are at the forefront of all things awesome. This all goes down Monday, May 20th at T4X, Delta’s impressive pop-up space in SoHo that celebrates the opening of T4, their much anticipated terminal at JFK. Hope you can make it. Anderson Design Group has created perhaps the best city posters I’ve ever seen. They’re hand rendered to pay homage to the masters of the golden age of poster art and irresistible once you lay eyes on them. Even if you don’t happen to from the big city there’s plenty of prints to honor regions and national parks. Below you’ll see a print from each of the cities we have writers, but one question remains. How do you settle on just one of these? I want like eight of them! You can find them at Scoutmob Shoppe. David Foster Wallace, author of many great works — including but not limited to Infinite Jest, which I have unfortunately not been able to finish despite multiple attempts — gave a commencement address to graduating seniors at Kenyon College back in 2005. But that was before the Internet gave birth to stuff that went viral (actually, believe it or not, YouTube was founded in 2005). Luckily for us, The Glossary made an awesome video inspired by Wallace’s speech that has now been seen by more than 3 million people. Which is great, because then maybe everyone will be a little more aware, a little more patient. You can listen to the full speech here.